With the bright sunshine and warm days ahead, it's only natural to want to spruce up your home and make it look fresh and inviting for guests and residents alike. Here are a few ideas for how you can decorate your special place for the summer. Nothing says “summer” and “fresh” quite like clean, bright colors. Change out darker curtains for brighter ones. Find some bold pillows for the couch and bed and toss out the old ones. Put up some striking paintings or artwork to draw the eye upward. Grab some pretty tablecloths and napkins to make the place seem really nice. Wicker is in. Buy some light wicker chairs and tables for your space. Find some natural nautical pieces such as a large conch shell or driftwood and add beach-themed decor to complement it. Or, try bamboo shades or rugs made of a natural fiber such as jute or even sisal. Buy a pretty straw basket and use it as a container for your items. Wooden plates and bowls are great for barbecues, mixed salads or holding those juicy berries you just bought at the local farmers market. Flowers, whether natural or in print, make a place really feel like home. Grow a pot of flowers on your windowsill or some fresh herbs for your kitchen. For even less maintenance, try planting some succulents and enjoy the different variety of shapes and colors that they come in. Or simply purchase fresh flowers from a shop or a local farmers market on a regular basis and enjoy their aroma and natural beauty. Try replacing your darker textiles with bright and cheery floral print textiles. Having flowers in your home can boost your mood and make a place seem more charming. If you are looking for a really great place to call home, contact North Harbor Tower today. 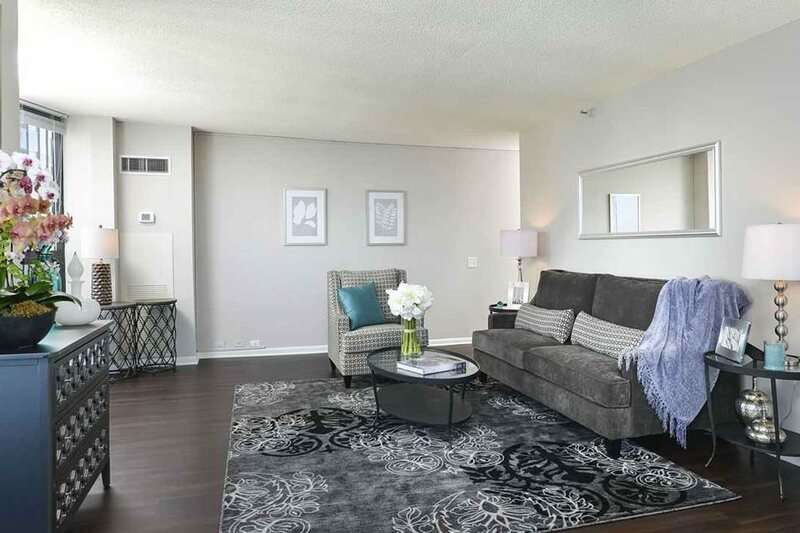 With grand views of the city and Lake Michigan that can be seen from our wraparound windows, we have some of the best apartments in Chicago. Add to that luxury amenities, excellent service, and a prime location, and you find yourself at a place called home. Stop by our office or give us a call to learn more about our apartment community!